I bet payment by NETS sounds familiar to you if you live in Singapore. Not all shops accept credit cards but almost all shops in Singapore accept NETS as a form of cashless payment. You can even make bills payment at SAM and AXS machines using NETS. I rarely make cash payments nowadays unless there isn’t a choice for me to do so. Since so much money is paid out using NETS, why not find a way to have cashback since the money is meant to be spent anyway. I found out that XtraSaver Account Debit Card offers 0.5% CashBack on all NETS transactions. This means that I can save 0.5% off anything by using XtraSaver Account Debit Card to pay off the bill through NETS. 0.5% Cashback on S$100 is S$0.50! These few months, my Singtel UOB Credit Card bill comes up to about S$550 due to some installments payments. I paid off the bill through SAM machines using XtraSaver Account Debit Card and I was able to get about S$2.75 back in Cashback! I had saved S$2.75 off the S$550 bill payment! 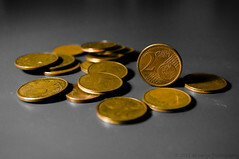 It is important to save every cents possible, every cents saved is cents earned!